After several years working in international renowned architectural and design agencies,including David Chipperfield Architect and Christophe Pillet. Gae Avitabile founded his own design studio Tana in 2012. 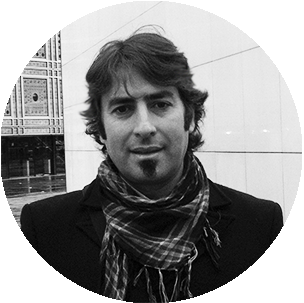 He works on a large range of projects, from industrial design to space design project. The collaborations and project diversity lead him to see design in global way of thinking. He focuses on simplifying the interactions between humans and space or object. His projects are rooted in a responsible approach deeply concerned by the reliability and sustainability of its creations. I look for new approaches in the design, reinterpreting and redefining creative processes to create objects, which, other than functionality and aesthetics demonstrates the concepts and history behind each of them. I am fascinated by the way children, with their intuitive ability, transform conventional objects and their use from one game to another. One of the 10 selected designer for LagoStudio Workshop 2015. Vasa Lamp – emporium srl – Porto Recanati ( MC ) – Emporium event. © Tana Design Studio all rights reserved.